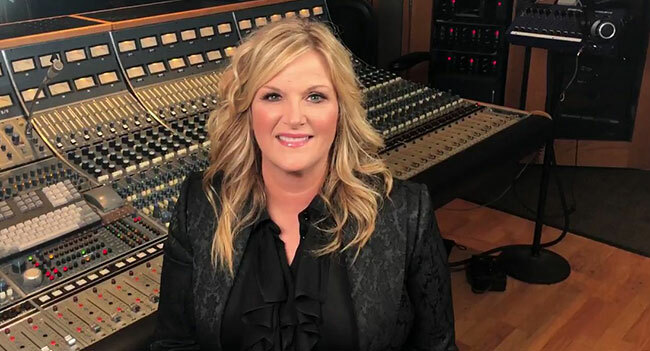 As Trisha Yearwood is celebrating the release of her new Frank Sinatra tribute album, Let’s Be Frank, she’s also working on a new country record. The country superstar has revealed that the project is slated to come out sometime this fall. Yearwood released Let’s Be Frank last November through Williams Sonoma stores and online until last week’s wide release. The project features 11 Sinatra classics and a rare Yearwood/Brooks original, “For The Last Time,” that fits the album’s mood. It was recorded over four days last year with a 55-person orchestra at the Capitol Record Studio at Capitol Records in Hollywood, the same studio Sinatra recorded many of his hits. Yearwood used the same microphone and stool Sinatra used when recording. Let’s Be Frank is Yearwood’s first new album of all new material since 2007’s Heaven, Heartache and the Power of Love. Yearwood released PrizeFighter: Hit After Hit, featuring six new songs and several of her hits, in 2014. Two years later, she and husband Garth Brooks released Christmas Together, their first duets album. On Valentine’s Day, Yearwood headlined the legendary Rainbow Room for the first time. Guests were treated to music and dinner curated by Yearwood and Executive Chef Mathew Woolf 65 stories above Rockefeller Center with panoramic views in every direction. The next day, Yearwood shared plans to support both Frank and her upcoming country project with a tour of her own during an AOL BUILD Series Q&A in New York City. She says she plans on performing in theaters and smaller venues instead of arenas like she did when she toured with Brooks from 2014-2017, performing a handful of songs in the middle of his set.